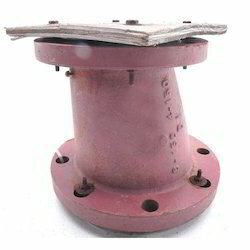 We have been able to provide the customers with a highly durable assortment of PP & PFA Lined Reducers. Offered array of lined reducers is designed in line with the universally accepted international quality norms & standards, under the strict guidance of expert professionals. Available in a wide spectrum of sizes, shapes & specifications. PFA Lined Concentric Reducer. Our range is fabricated in accordance with the international quality standards using superior grade raw material, which is sourced from the reputed vendors of the market. Besides, the raw material bears Material Test Certificate and withstands certain Internal Tests Reports. DN DN1 L CAT REF. 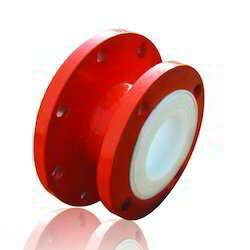 Being a client centric organization, we provide quality PP Lind Eccentric Reducer which are corrosion resistant. At our sound infrastructure, we manufacture the offered reducers by making use of high grade raw material, sourced from reputed vendors while keeping in mind the international quality norms. Further, to cater to the varied requirements of patrons, we provide these reducers in various dimensions and as per their given specifications. PP Lined Reducers. Designed at par with the global quality standards, the range is extensively applicable in diverse industrial sectors. Offered in a plethora of shapes, sizes, dimensions & specifications. 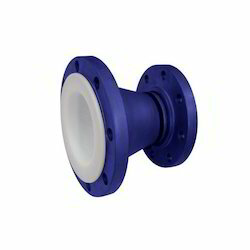 We have offering to clients a commendable range of PP Lined Concentric Reducer. Offered array is widely used in varied industrial applications for its attributes such as excellent performance, precise dimensions, high material strength, corrosion resistance and longer service life.